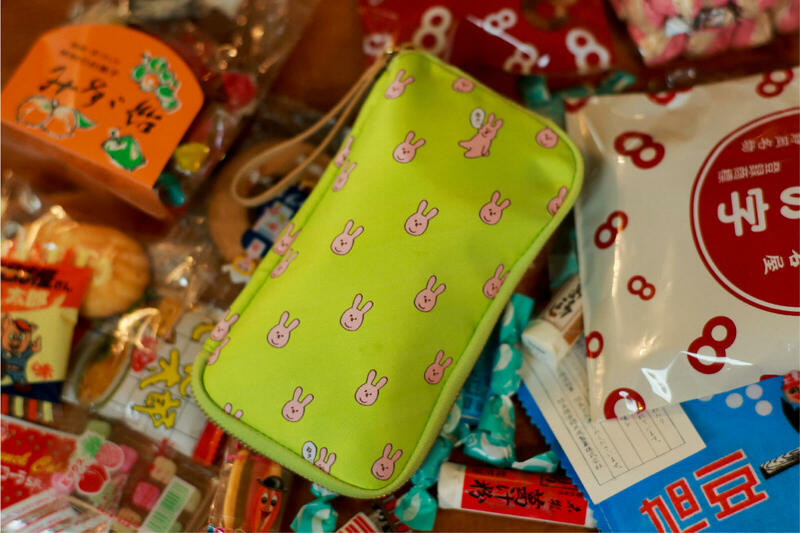 The Drawer Pouch is a companion to the Hobonichi Techo, named after its role as a “drawer” you can carry around with you everywhere you go. It’s perfect for storing all your most important belongings in a convenient, portable case you can either carry around town or leave at home to keep everything easy to find. The Drawer Pouch comes in three sizes: Small, Large, and Áne (AH-nay). Check out the information below to help pick out which one best suits your needs. 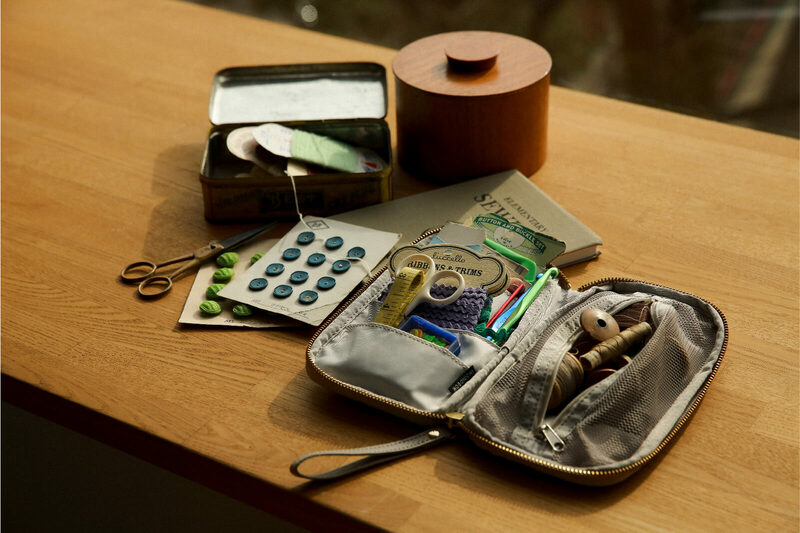 The Small Drawer Pouch is the size of a long wallet and fits writing utensils, scissors, and other stationery, much like a pen case. 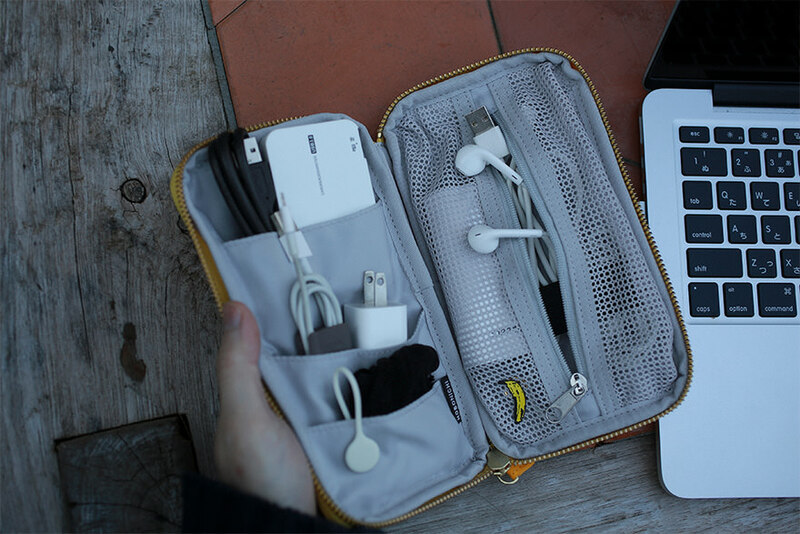 But it’s also designed to neatly store point cards, business cards, charging cables, and other small items. 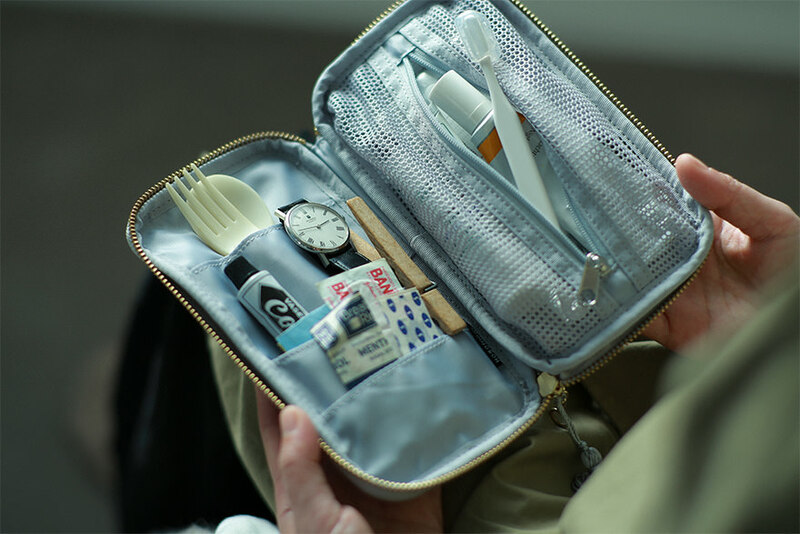 You can carry the pouch around to keep the items you use every day handy or leave it at your desk to store checkbooks, receipts, and other items you’d like to keep organized and safe. 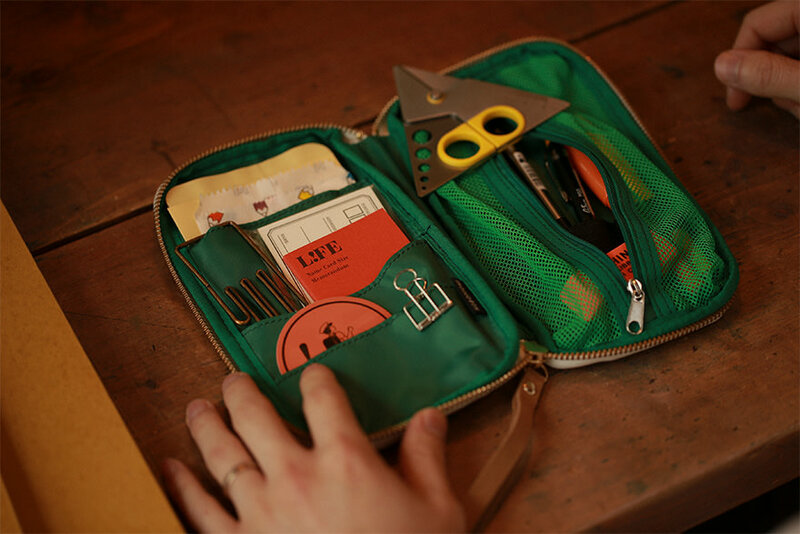 When you keep everything important together in this pouch, you won’t have to spend so much time digging around and trying to remember where you put things! 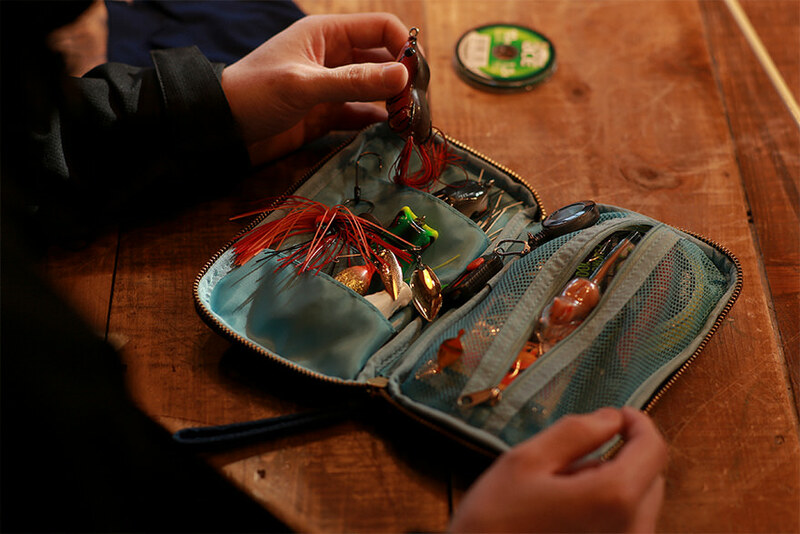 The pouch can lay open completely flat when it’s unzipped, making it easy to glance inside and grab what you need. 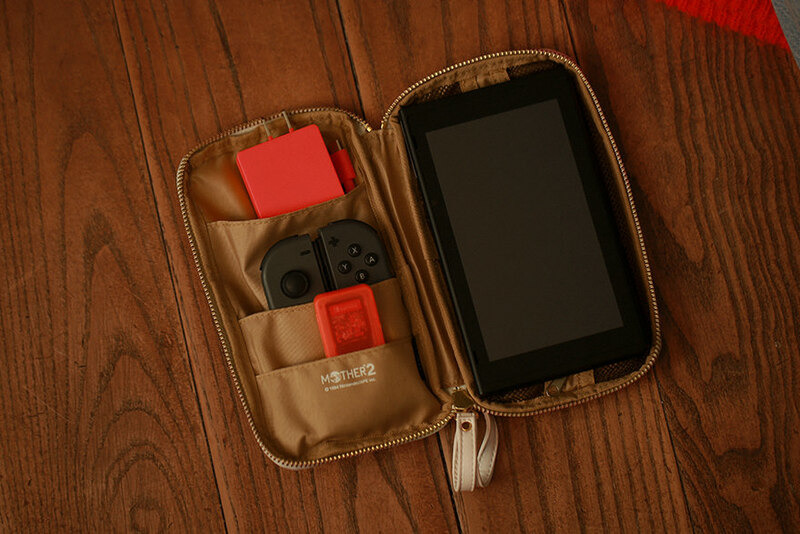 Even when it’s full of items, the pouch still zips shut into a slim and compact case that fits nicely into a purse or bag. It’s a great companion to keep alongside your Hobonichi Techo. This cute little comrade can serve you well! There’s plenty of room to store flat objects such as cards, rulers, and scissors. 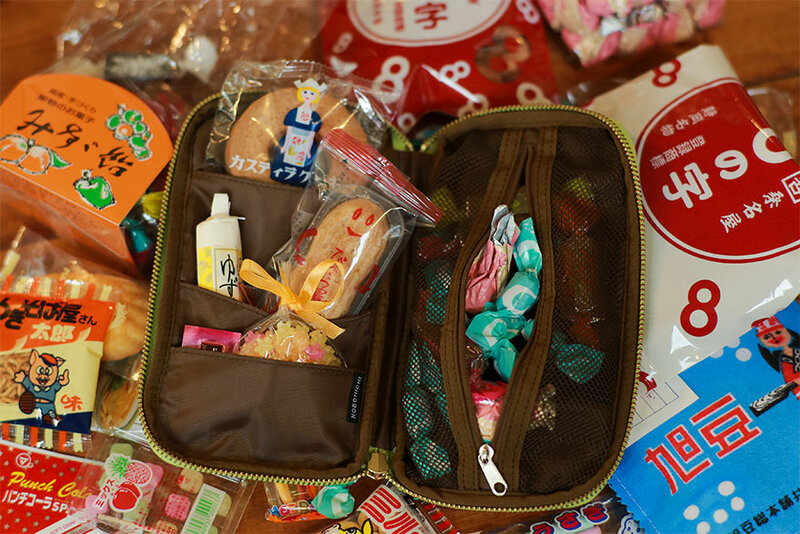 The “Smile Pocket” is designed to match that of the Hobonichi Techo covers. The pocket size fits cards perfectly. 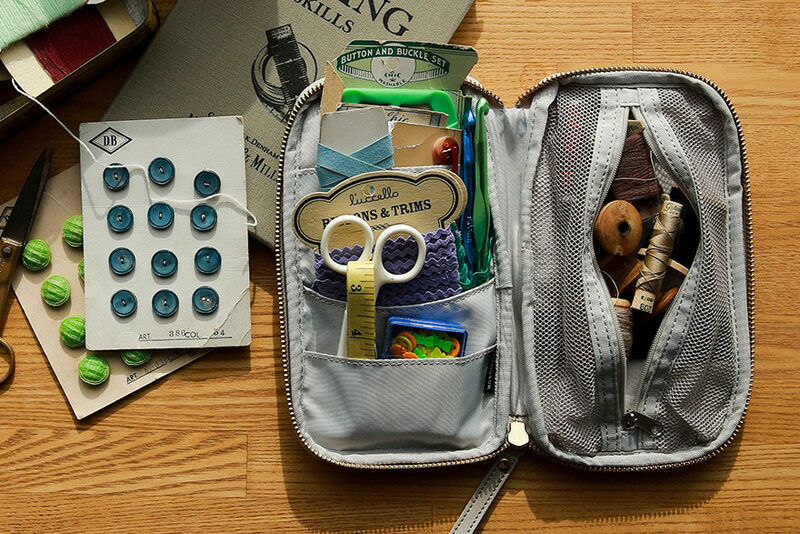 A mesh pocket allows storage for slightly thicker objects, such as pens and rolls of washi tape. The interior includes a band that holds a pen. 11 fabric designs to choose from! 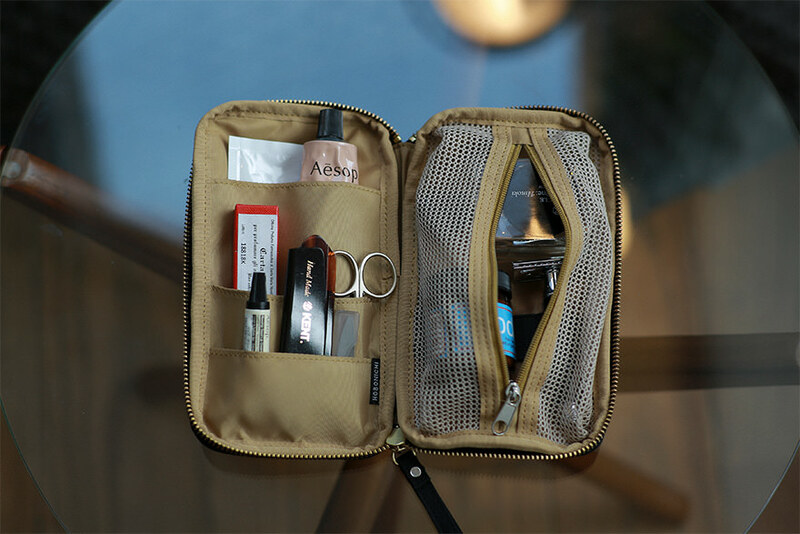 While there’s plenty room for storage, the pouch closes into a slim, compact case that fits into a purse or bag. The pouch exterior has a single deep pocket. *Sales will begin through the Hobonichi Techo Official Store and at the Tobichi Tokyo shop on March 1st at 11 AM Japan time, and noon Japan time at the Tobichi Kyoto shop. *Preorders and early signups are not available at the Tobichi shops.Please see each shop’s homepage for more information. (Tokyo Kyoto)*For store hours and stock information at Loft shops, please contact the store directly.